Informed decision-making drives business success. This can only be achieved if you know who you are, where you are going and how you are going to get there! Our development products have been designed to give you on the ground information for moving your business forward. This is the process of determining a business’s long-term goals and then identifying the best approach for achieving those goals. We can assist in defining your goals and how to achieve them. The business plan takes the the goals set by the strategic plan and determines how those goals will be achieved. It incorporates marketing strategies, team requirements, financial strategy and performance projections – it is an incredibly useful tool and should be considered a blueprint for building success. 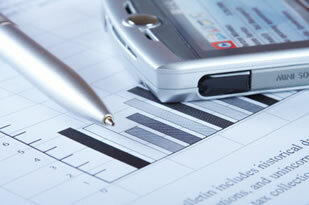 Our team have years of experience in the preparation of business plans for our clients. Every business has a particular activity or function that indicates how it is progressing in respect of its long-term goals. The is called a Key Performance Indicator. Whatever KPIs are selected, they must reflect the business’s goals, they must be key to its success and they must be quantifiable (measurable). Along with selecting the pertinent KPIs for you, we can also analyse and monitor them. Due to our team’s long experience in many diverse industries, we can supply up to date solutions to any specialised management advice you may require. Create an extraordinary business by listening to your customers. We know that clients often leave a business not because the business was technically incompetent, but because of the way the customers were treated. By inviting your customers to share their experiences, we can determine how to serve them better in the future. We can arrange everything from the invitations to the facilitation right down to the venue and catering.